I Devbagh Beach; am located in Sindhudurg district of the Maharashtra state, and I am situated 13 km away from the main city Malvan. I am counted as one of the beautiful beaches across India. I am even known by the name the Golden Sand Beach. I possess tranquil atmosphere, significant for pilgrimage and historical values and ethics. I totally blend with all the elements of a perfect beach, and I truly reflect the exotic natural beauty. Not only have I reflected the natural beauty, but also I reflect joy and even I possess the power to mesmerize my tourists. Several other factors that make the Devbag beach Malvan one of the must visit tourist destination of Maharashtra state. 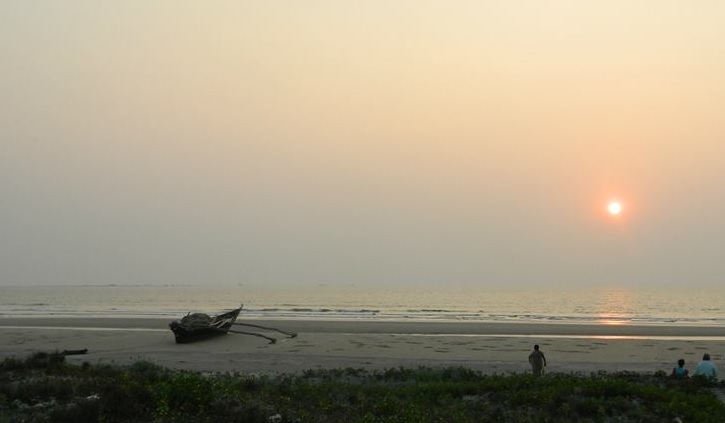 Situated near Tarkarli Beach, Devbagh beach is quite famous for picturesque surroundings, and also popular for delicious food and other religious and historical sculptures. I do possess a pleasant climatic condition through the whole year. As a tourist you can find temperature ranging from 10°C to 32°C. You can definitely pay me a visit during the month of October to May. If you are a food lover, then Devbagh beach is the ideal place for spicy sea foods which contains excellent fragrance as well as taste with some coconut garnishing. You would experience the true Knokani food here. You may even go for a shopping in the muslin textile and buy the best thing. Tourist can pay a visit to Devbagh beach during winter and summer months. At this time my beauty is admirable and I give splendid experience to make your holiday remember.